Came across this beautiful Series I on the LCGB forums, and I just had to post it on here. 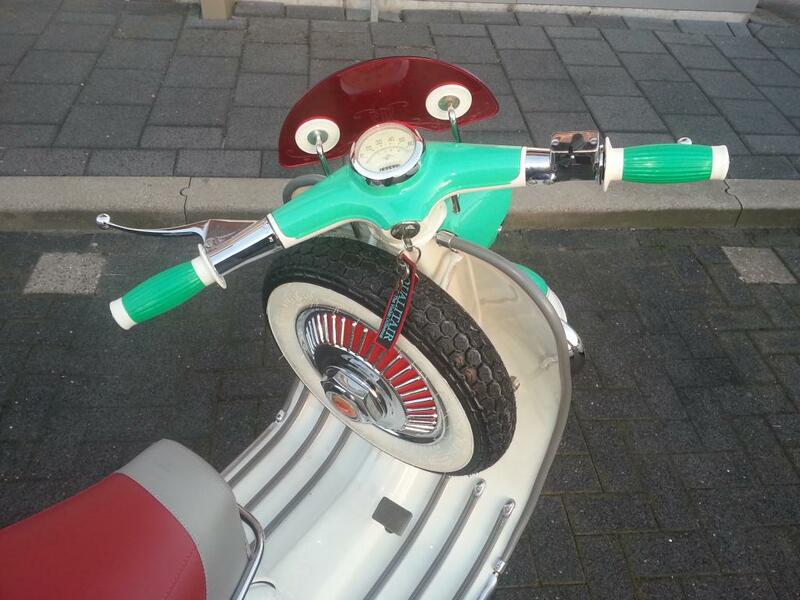 Great paint and tastefully modified with original, period accessories. 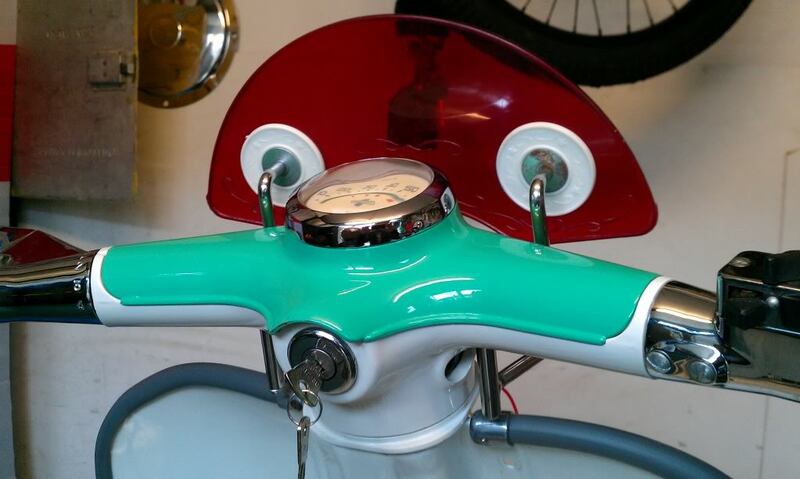 Loving the Bienne flyscreen, the front mudguard bumper, the balloon grips, and the SAT Torino seat. The twin Pathfinders lamps are fantastic too. 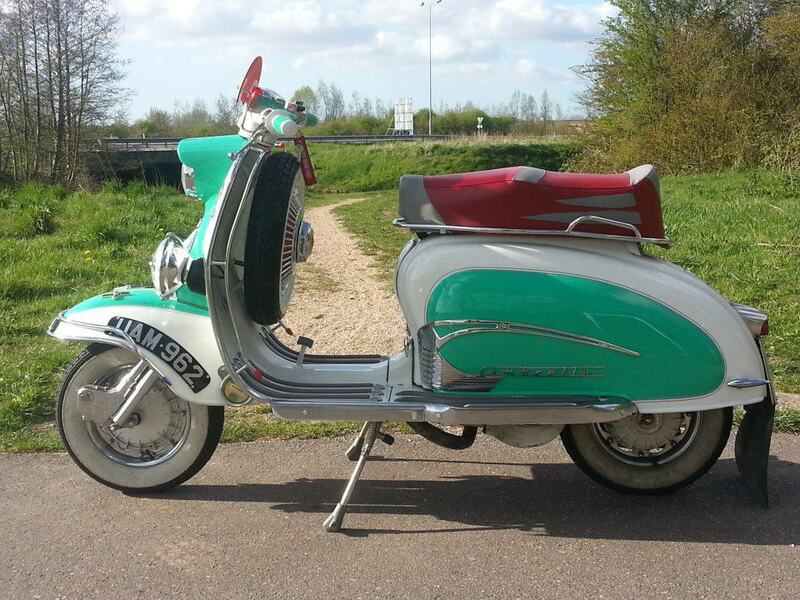 Nicely done, plenty there to make her stand out from standard, without overdoing it and spoiling the classic lines. 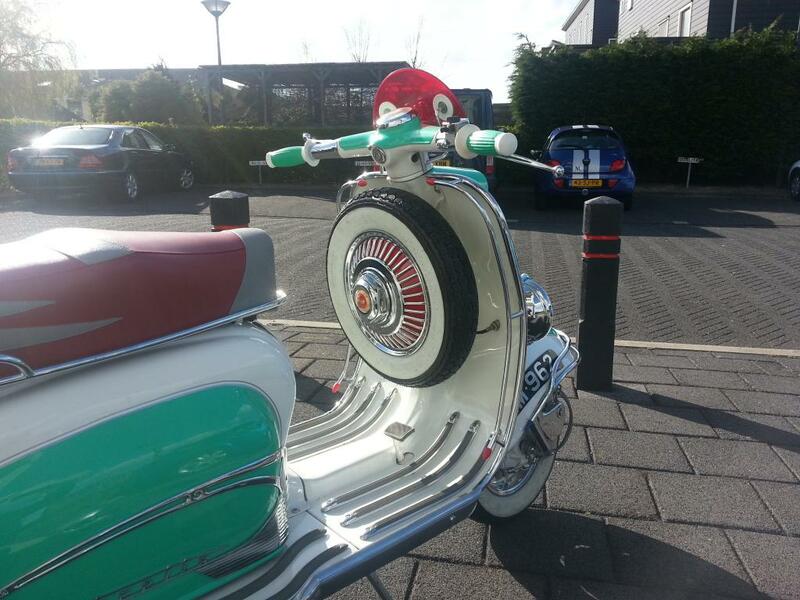 This entry was posted in Scooters and tagged Bienne, Lambretta, Series 1, Viganò by crocodilejock. Bookmark the permalink. 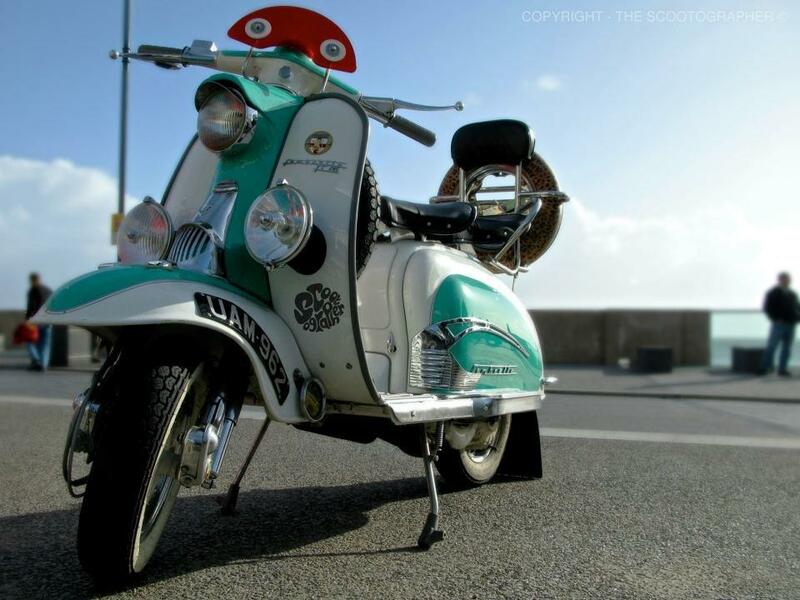 how do i buy one for my S1 lambretta, pls help!